Bitzios Consulting was commissioned by City of Gold Coast to build a “hierarchy” of Aimsun models for the Southern and Central Gold Coast from Nerang to the NSW border. 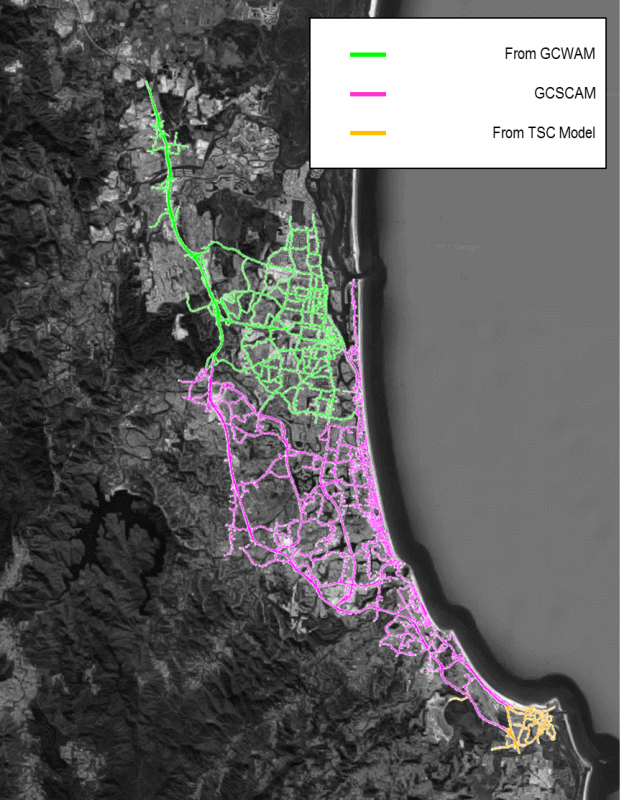 We created a macro assignment model for this area and embedded a dynamic mesoscopic model for the core coastal area, disaggregating further to create a microsimulation model for the Light Rail Stage 3A corridor, between Broadbeach and Burleigh Heads. The model was then used to test a range of options to support detailed design and business case activities.